If you don’t already know about my love of Lucy Maud Montgomery, click here to see a post about Anne and also about Maud. 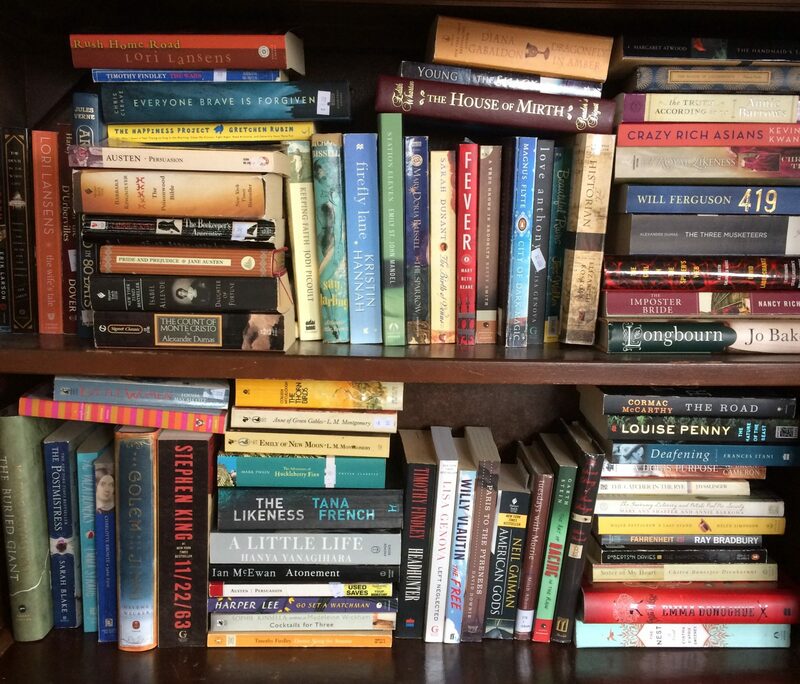 As of recently I’ve been reflecting on why I have this fascination… like most book worms… but I really think that it stems back to being a young girl visiting my Aunt and Uncle whom live a couple houses away from L.M. Montgomery’s home in Leaskdale. I always remember being fascinated by the fact that someone so inspired to write great literary fiction lived there. I can also remember wondering what it would have the town, and her life have been back then. Needless to say, I still haven’t been on a tour of her house, but I will need to put that on my 2018 bucket list. I picked up The Blue Castle when we were visiting Green Gables this past September. I’ve heard many people raving about it, and what a delight the book is… Well it sat on my shelf until last week when one of my clients had been telling me that their book club actually read it, and adored it. So clearly, that green eyed book envy monster got the best of me and I picked it up. Here’s a quick little synopsis for you: Valancy at the age of twenty-nine had never been in love, and her family, and herself thought that love had passed her by. Living with her overbearing family, the only sense of adventure that Valancy had experienced were wildlife books written by John Foster, and her daydreams of her own Blue Castle. Then when Valancy receives some troublesome news from Dr. Trent, she decides to live on the wild side… to do what she wants, say what she wants, and be who she wants. Through this troublesome news she has been blessed with the gift of love, and a much fuller life. I really loved this book. First of all if you haven’t read much L.M. Montgomery, she is full of snark and wit… which I love. She has the sweetest twists and turns buried in this little novel. Another reason I really loved reading this book was it is based in the Muskoka’s in Ontario, Canada… which is close to where my parent’s cottage is. I really think that there is something special about reading a book that has a setting you are familiar with. Watching Valancy’s character transform into someone confident enough to be who she was just dying to be inside was wonderful. She went from this meek, soft spoken young girl, to an opinionated, confident woman. All in all, I hope this post inspires you to go read this book. I am never let down by Maud, but this book is truly a wonderful little book. And little is true as well, it comes in at just over 200 pages and has the ability to make you want to read each and every word, but also turn the pages at a fast rate. Have a wonderful day, bookish friends! I wanted to do a quick post to share some of my favourite reads of the year. It has been an exceptionally good reading year for me due to some changes I’ve made to my reading life. These are including chatting with new and old friends about books more, finding some great book resources, and deciding to get up even earlier to read. Below I have listed some of my favourite reads (in no particular order), and linked the blog post that I wrote on them if you would like more info. One important note before I get started is that I couldn’t obviously post a whole series… but you all know about my deep love for the Inspector Gamache series, by Louise Penny… this series is by far the best one I read this year… so check that out too. Please feel free to comment on what your favourite books you’ve read this year have been! 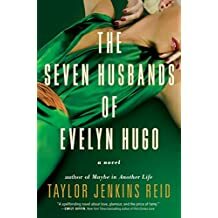 The Seven Husbands of Evelyn Hugo, by Taylor Jenkins Reid. Oh man, this book!! I loved it. From it’s description I would have never picked it up, but the hype of it was too tempting to not try. WELL… I loved it. It’s based on an aging famous Hollywood actress who is coming to the end of her life, and decides to dish all the details on her life and her seven husbands. Click here to read my review. 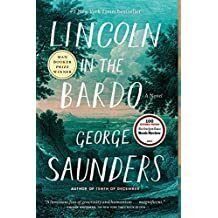 Lincoln in the Bardo, by George Saunders. I read this book before I started my blog… but this book is the most interesting, creative piece of literature I’ve ever read. Saunder’s style is very different in this book, but it’s so worth pushing through the style for the story. It’s based on President Lincoln’s son, Willie who gets very sick, and unfortunately passes away. It’s a story of grief, and a deep love. 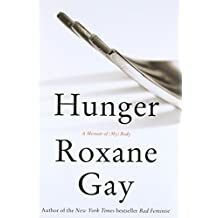 Hunger, by Roxane Gay. This is the memoir that blew my mind this year. The subtitle of this book is A memoir of my Body, and that’s exactly what it is. It’s a raw, and honest look at what living within her body has been and continues to be like. It’s a journey to self-acceptance, and understanding of ones body and mind. I really think that this should be a required reading in high school. Click here to read my full review. 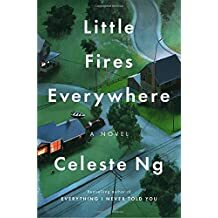 Little Fires Everywhere, by Celeste Ng. So this, friends, is the book I will be suggesting to all the reading people in my life. This book is a story about perfection, parent/child relationships, and love. I could not stop reading this one, it literally traveled everywhere with me. Click here to read my full review… but trust me and just read this one! Jane Eyre, by Charlotte Bronte and Mr. Rochester, by Sarah Shoemaker. These books made my top books of the year because it was the perfect pairing of books. 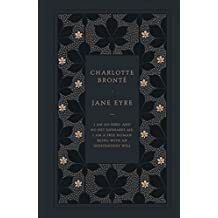 With a classic the reading can be a bit hard at first… but I didn’t get that feeling with Jane Eyre. It’s so relative and readable still. 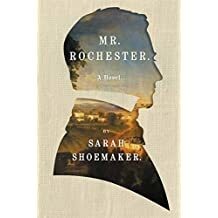 Then following up with Mr. Rochester, and seeing the love story from his eyes was terrific. It’s moody, it’s gothic, and it’s romantic. I love it! 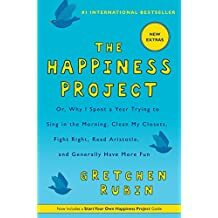 The Happiness Project, by Gretchen Rubin. This book is the my favourite non-fiction pick of the year. I’ve recently re-read it as I am planning on conducting my own project… click here to go to that page!! But this time that I read it I was so ready to embrace implementing small changes in my life, to have big outcomes. I think this would be a great book for just about anyone to read. Gretchen’s writing is easy to read, and super honest. 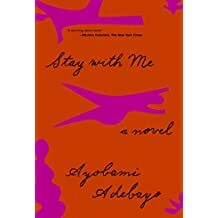 Stay with Me, by Ayobami Adebayo. This book is one that will stay with me, and haunt me for a long time. It’s the beautifully told story of a husband and wife in Nigeria, who decide to stay only faithful to each other, despite their cultural norms. When they struggle to have a child, their relationship also starts to struggle. Click here for that whole review. 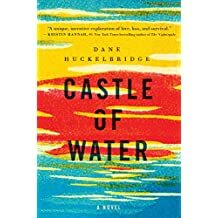 Castle of Water, by Dane Huckelbridge. Last, but certainly not least… this book is EVERYTHING!! Holy smokes, it gave me all the feels. From surviving the wilderness, to the deepest of love, this book had me ugly crying in the late hours of night when I was finishing it. It’s the story of the two survivors of a plane crash and their journey back to their world. Click here for my full review.